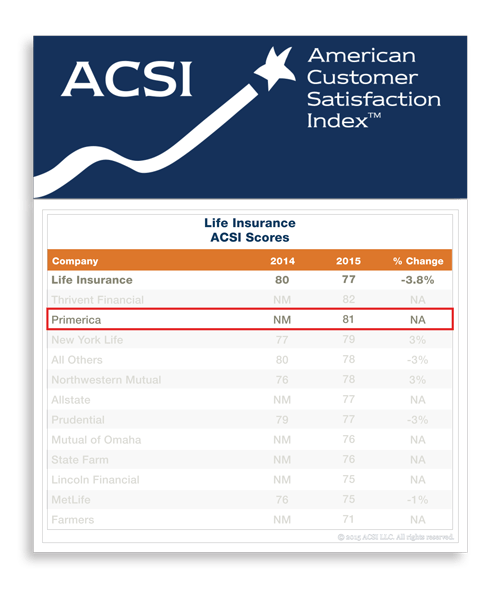 The American Customer Satisfaction Index (ACSI) recently published its “ACSI Finance and Insurance Report 2015,” and Primerica ranked second in customer satisfaction among the life insurance companies included in the survey. For more information, check out this press release from ACSI. 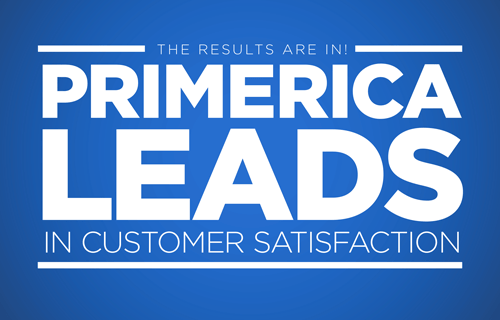 This entry was posted on Wednesday, December 23rd, 2015 at 3:36 pm	and is filed under Company, Primerica. You can follow any responses to this entry through the RSS 2.0 feed. You can leave a response, or trackback from your own site. Great Company to work with. Our Mission: Help families earn more income and become properly protected, debt free and financially independent!